The animation movie,Abotani which tells the folk tales of Arunachal Pradesh‘s Tani community is set to be translated into Japanese. A London-based culture researcher, Tara Douglas will translate the animated short Abotani, which is based on a folktale into Japanese. The animation short was released in India in 2013. It was screened in London Animation Club on Wednesday and at the Cultural Animation Festival at Honololu in the United States in May this year. Abotani is the cultural hero of the Tani community. The story portrays a quarrel between Abotani and his brother Yapom, a spirit, which leads to division of their land. 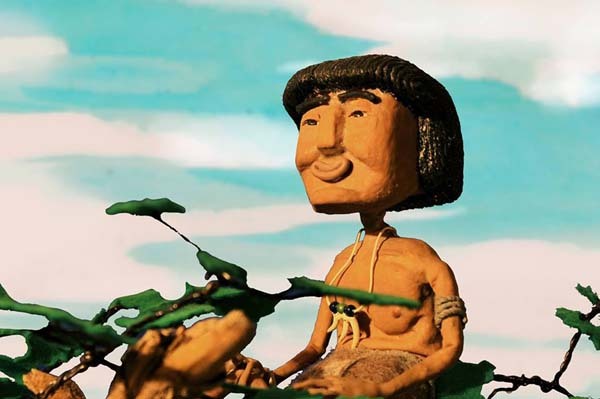 Abotaniwas made as part of Tales of the Tribes, a series of short animation movies based on folktales from indigenous communities in Madhya Pradesh, Nagaland, Manipur and Sikkim. It is already available in Apatani, Galo, Tenyidie, Lepcha and Manipuri languages, apart from English and Hindi, reporst The Telegraph. Tara, a graduate in animation from West Surrey College of Art and Design in the UK, spent months in India since 2013 as part of her efforts to preserve tribal folktales through animation following her involvement with Adivasi Arts Trust.